More and more we need to move away from the noisy city to meet the silence. If we have the possibility of listening to it in the entrails of The Earth, impregnating us with his positive energy, even better. 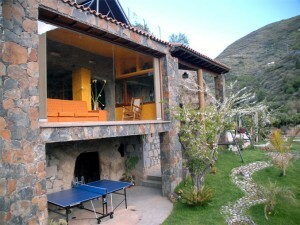 Often we have it nearer than what we think: by the mountains of Gran Canaria, in Artenara, culminating point of Nature. 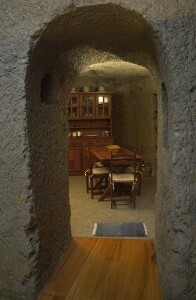 There, in the smallest village in inhabitants and higher place of the island, his inhabitants use the Cave-Houses as privileged and daily home. These excavations in the stone have a natural and very peculiar characteristic: their temperature is among 17 and 20 degrees the whole year. That means that in winter, we feel warm inside the Cave House when we can have 8 degrees outside, and they refresh ourselves in summer with the rigors of his heat. 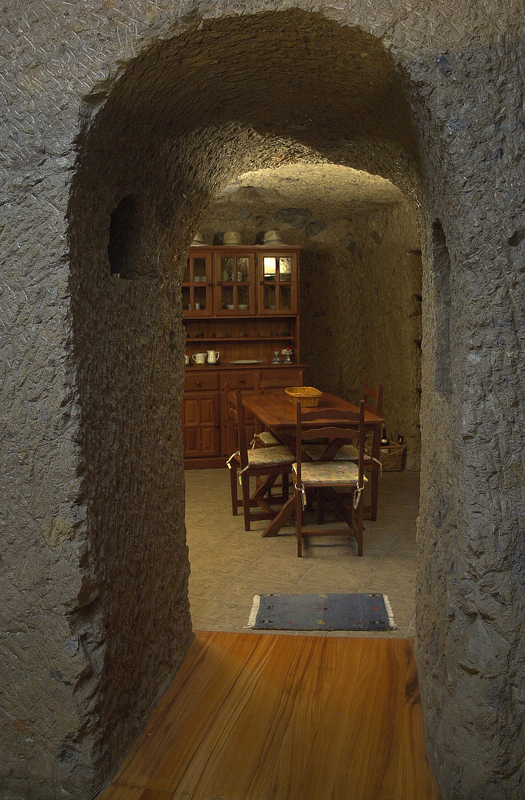 Now you have the opportunity to experience all the sensations in the Cave-House El Caidero – the first Prize of the Patronage of Tourism of Gran Canaria some years ago-, Cave-House El Mimo, Cave-House Las Margaritas, (both with the Qualit Certificate Sicted) Cave-House Mamá Nieves or Cave-House Los Cabucos – double National Prize: for its quality and originality- . All our houses are fully equipped with all the comforts that can be imagined to enjoy a complete rest, including garden and barbecue and up to hydromassage or swimming pool in some of them. You will come back to the daily routine totally relaxed and impregnated of the natural captivations that surround these Cave-Houses: majestic mountains, deep ravines, leafy pinegroves, incredible path and laborious craftsman. You will be able to estimate the sacrificed agricultural and cattle tasks with their typical tools, to enjoy the amability of the Inhabitants of Artenara and enjoy unforgettable sunsets watching the sun between Tamadaba and El Teide. The one that tries repeats!